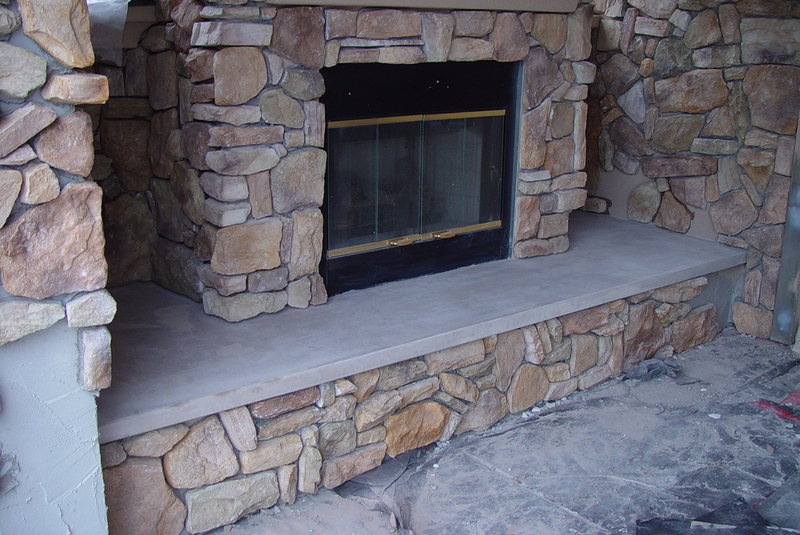 Example of outdoor counter tops in Granite Bay, CA., We believe these were done around the year 2000. We did an interesting extra-thick cantilever on this project. We used color-hardener on all of our cast-in-place counters.